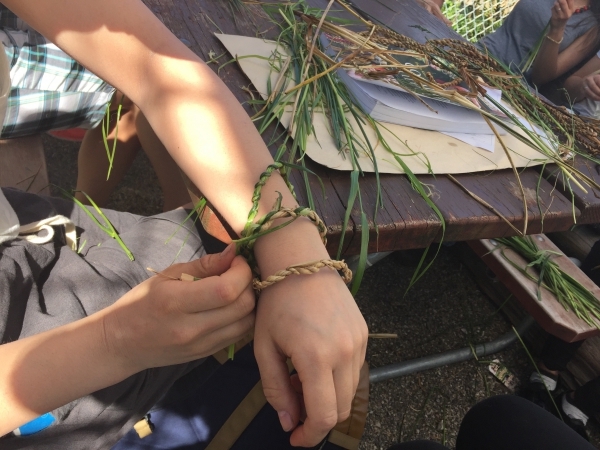 An introduction to the mathematical structure of the ancient arts of twining and spinning fibres, featuring Vancouver, Canada eco-artists Sharon Kallis and Karen Barnaby of EartHand Gleaners. The film shows the basics of the fascinating (and rather addictive) processes of rope making and yarn plying. The video explores the fact that the same close-packed, chiral, zero-twist helical structures occur independent of fibre type and at all scales, from DNA and nanofibres to huge metal cables. Filmed on location at Trillium North Park and Maclean Park in Vancouver's Strathcona neighbourhood.